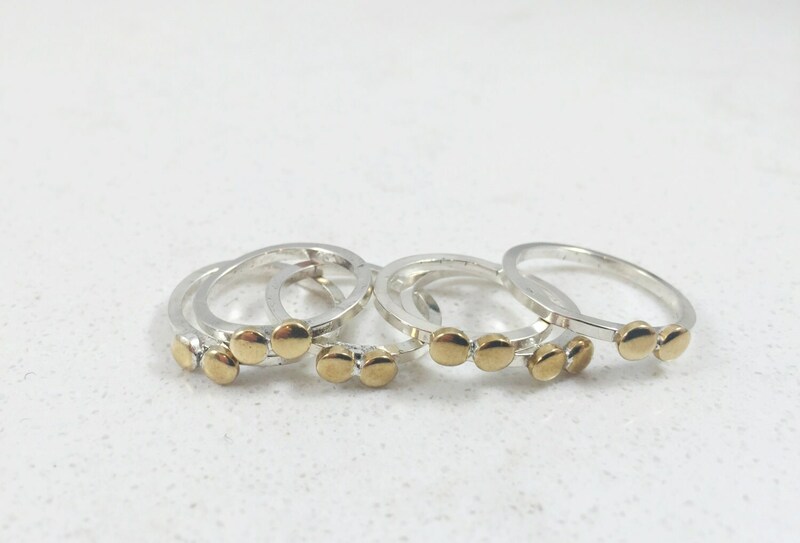 Sterling silver midi ring with two dot brass detail. Band is sterling silver square wire. Midi rings are worn just above the knuckle. 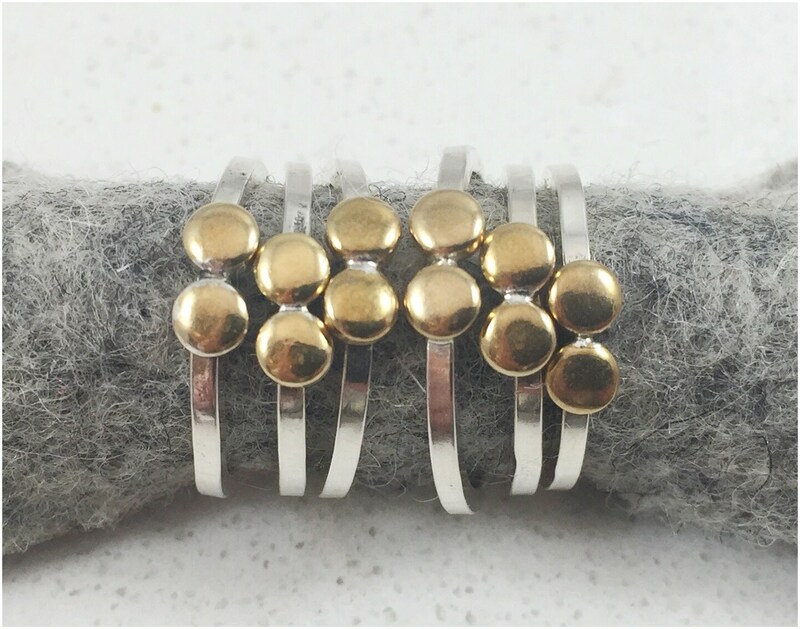 For sizing, subtract 3 from your regular ring size (if you are a size 6 in a regular ring, you would be a size 3 in midi rings). Want a size you don't see here? Let me know! I can make it for you.